Tuffy says: Baldys Blue Scottie is Breeding Stock. This mare rode wonderful as a two-year-old and is quickly becoming a top broodmare! 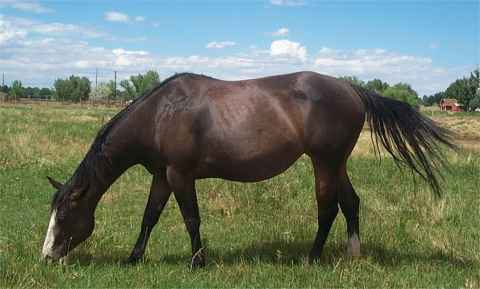 She has been a consistent blue roan producer of extremely correct, big hipped, pretty headed foals. A really good mare with all the right things!